I love hacking games, it’s a power fantasy many people enjoy the idea of, including Ubisoft. However, Watch_Dogs and Watch_Dogs 2 are neither pro-hacking nor anti-hacking, they are both games with the idea of hacking in the background. Watch_Dogs 2 is probably the closest to reality; a story about protecting your personal information and the issues we have with large corporations selling our data without our knowledge. Most of these large games about hacking, such as Deus Ex, Watch_Dogs, Gunpoint, and to an extent Alpha Protocol, instruct you to press a single button in order to hack successfully. In the case of Marvel’s Spider-Man, Warframe, and several others, however, they give you a hacking mini-game more similar to Pipe-Mania. However, this is how you know if a game will be about hacking or action: Does it need a controller? If yes, then it’s an action game with hacking in the background. If no, then there is a small chance it will be hacking. Take Hacknet, a small indie game that I quite enjoy. Hacknet is partially a visual novel about hacking but is predominantly a terminal-based game focused on the act of hacking. This would confuse the group that thinks visual novels have to be pornographic, or romantic in nature. These terminal games are about hacking and are worth looking into. Though they are often too “hand hold-y” in my opinion; Hacknet and Orwell: Keeping an Eye On You included. With that said, I’ve been playing quite a lot of NITE Team 4, another game about hacking in the same vein as Hacknet. NITE Team 4 comes from developer, Alice & Smith, who are carving out their own little space in the market for puzzle games. NITE Team 4 is their third game, with references back to their “paranormal […] Lovecraftian universe” game, The Black Watchmen. That may seem like a strange detail to mention though it was the detail that made me think Alice & Smith only made hacking games. It turns out this was their first go at developing a hacking-focused game through early access, but luckily, they still had a somewhat successful launch. Other sections of the tutorial are not so straight-forward, instead, being a little more obtuse to make sure you are actively paying attention. After all, you will be doing some of this later without the help of your boss, right? Sort of, he will tell you something at points throughout a mission, but won’t guide your hand through everything. Given that description, I feel I should say that no, NITE Team 4 doesn’t do what other “hacking games” do by being too, as I put it, “hand hold-y.” There are points where I do have to listen to a message again, read a document again, or generally pay attention to understand why I’ve not completed this mission; all after achieving the latter half of the mission objectives. You see, Hacknet and games like it do things very linearly; you have to go from A to Z in order and only then can you progress. NITE Team 4 gives you some space to leave the information you don’t exactly need for a while as you dig into other documents. The problem here lies with your own forgetfulness. I have sat for twenty minutes digging for every detail I could think of, only to then find out I didn’t collect someone’s tax documents. There is no easy way to figure out where you have gone wrong, sometimes it can be a missing tax document, or you have missed an operative word in a dialogue dump. A majority of the issues I have had has been from missing important details in the dialogue, all as a result of well-disguised lines that make the remarks seem natural. Some of the higher-ups in the agency are monotone and don’t reveal too much to you, but then you have Dylan; your boss and tutor who is very excitable and enthusiastic about hacking. However, if I am going to pour love over a game for being brave enough to let the player make mistakes, I’m also going to speak about the issues I have with it. Predominantly, I’ve seen major lag issues with the game even on the lowest graphics settings, as well as moments of either freezing or lag at random intervals. I have no explanation for this other than the minimum requirements might not exactly be representative of the true requirements. I’m not saying they are completely false, though I know I meet them and I’ve seen major issues. Another problem one may have is with subtitles. I’ve been met with several moments where I was forced to listen to dialogue dumps without a transcript as there is in the tutorial, or without subtitles in several main missions. As someone who doesn’t suffer from hearing impairment, this isn’t an issue for me, though there are others who I know would enjoy NITE Team 4 if more subtitles and transcripts were implemented. Furthermore, I have been in a fairly loud room full of voices and several sounds other than the game, in these moments I would have enjoyed subtitles so I knew what I was doing. In conclusion, I really enjoy the mountain of hours I’ve put into NITE Team 4 this past week. This is probably the longest period of time that I’ve put into any of these hacking games. While it is a “dumbed down” or gamified version of the act of true hacking; I think Alice & Smith did well. 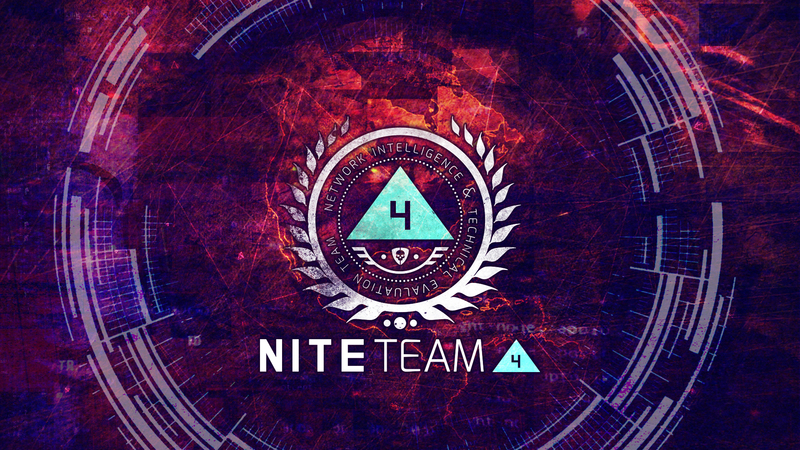 If you have enjoyed Hacknet or Orwell previously for their themes and ideas, then I highly suggest picking up NITE Team 4. A PC review copy of NITE Team 4 was provided by Alice & Smith for this review.